He is Indian, born in a typical brahmin family. If he is from Tamil Nadu, his name could be Krishnan; if he is a Chitpavan Konkanastha from Maharashtra, it could be Apte or Joshi or Bhave; if from up North, he is sure to be a Mishra or Sharma; and if from the East, he has to be a Chattopadhyaya or Bandhopadhyaya. He is the new face of upwardly mobile Indians who can land a job either in Bangalore or in San Jose. And with most of the mental baggage he is lugging around (and trying desperately to cast away) is the fact that he was born in a vegetarian family. He has grudgingly accepted his fate. He is bound to die a vegetarian. And he is apologetic about it. Meet the new Indian vegetarian who feels that he is a hypocrite. Why? When he sees many of his ilk dipping their fingers in bowls of KFC or coming out of a McDonalds he cringes in intellectual agony. What wrong has he done to be condemned to this fate? After all he knows for sure that he can never win an argument with his carnivore friends. They will be quick to declare that humans do have two canine teeth, so why not put them to good use. Never mind the colossal cost to the ecology and other species (including starving humans who could be properly fed if not for the adamant demand for industrial-meat produce). Research had long ago proved that natural resources needed to produce a pound of beef can easily produce twenty pounds of grains but carnivores do not want to know this – or do they? If a vegetarian gets cancer will he show any mercy to that tumor or kill that beast with radiation? Aren’t vegetarians killing selectively? Whoa, this was a double whammy! Our vegetarian friend’s brain seems to have almost stopped working. He does not have the ability to tell them that it is but natural to kill organisms like microbes, germs, insects, etc. as we go on with our daily lives. But we do not consciously plan to kill them. And in order to even cleanse those reactions, the Vedas prescribe certain methods of purification. These carnivores are placing a mass murderer on par with someone who has littered the street or jumped a STOP signal. Our friend does not have the gumption to tell his carnivore friends that the law considers accidental killing and premeditated murder as two wholly different issues. Sure there is killing in both, but one shows negligence while the other betrays a sick mindset. He cannot tell them that the acme of hypocrisy is to ruffle your pet dog while wolfing down a burger made with cow-flesh. Our friend almost shares in the laughter with them when a carnivore says that he loves all of God’s creatures and relishes them with his favorite salad. Can we do something to help our friend come out of his hypocrisy guilt? 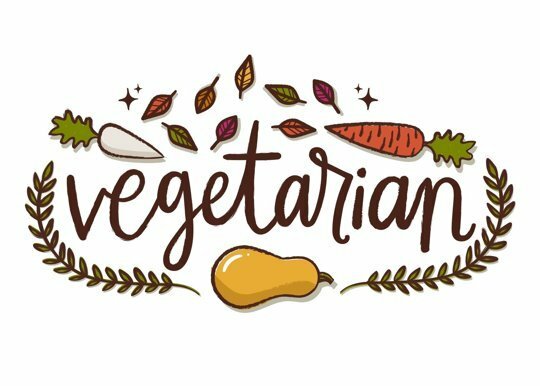 To minimize the karma in a lacto-vegetarian diet, Lord Krishna a states that all foods should be offered to Him in sacrifice and only the remnants should be eaten. This promotes the food to the level of sanctity, which does not carry any reactions.